PlatinumGames' TMNT title has finally been revealed. A teaser for Teenage Mutant Ninja Turtles: Mutants in Manhattan was dropped on the world yesterday and, aside from the cel-shaded graphics, the best part about it is the four player online co-op campaign. For the time being, not much is known about the game outside of those scant few details and that the story was written by the current writer of the IDW comic, Tom Waltz. From the trailer itself, there does appear to some kind of co-op team up move that a few of the turtles perform around the 0:55 mark, which is always nice to see. PlatinumGames has a reputation of making quality action titles, like Bayonetta and its sequel, and last year's Transformers: Devastation, so hopes are pretty high for this title. 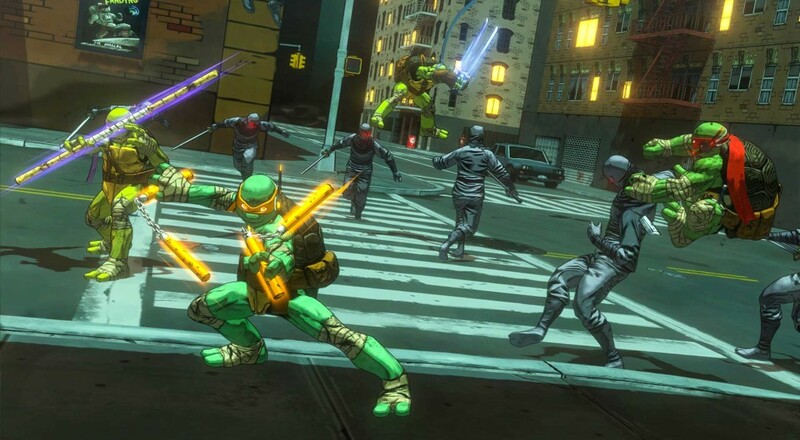 TMNT: Mutants in Manhattan is set for a summer 2016 release on the PC, Xbox 360, Xbox One, Playstation 3, and PlayStation 4. Page created in 1.0122 seconds.